Montauk, NY is the Perfect Destination for a Family Vacation! Located on the eastern tip of Long Island, charming Montauk NY is home to some of the most beautiful beaches on the Atlantic Coast. 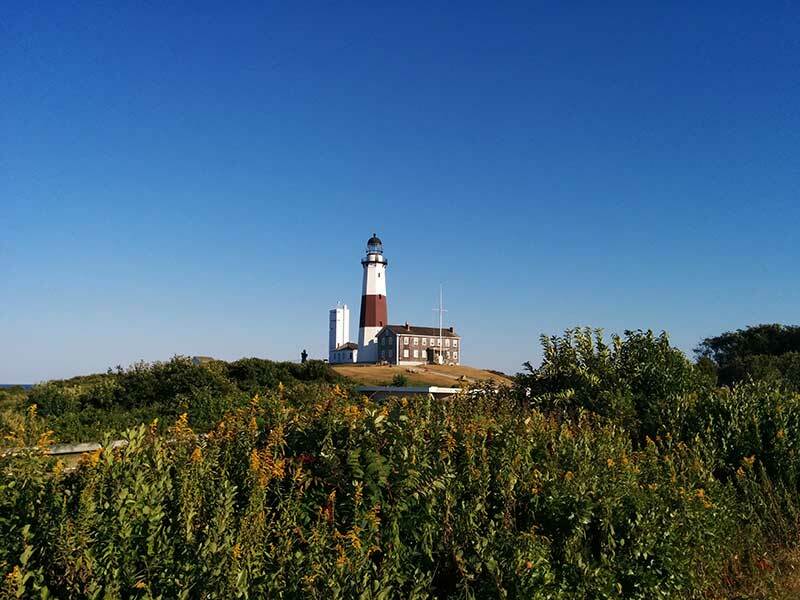 With all these beaches, parks and an historic lighthouse, Montauk NY is a great place for a weekend getaway or family vacation. Montauk is located on the South Fork of Long Island. This region is known for its white sandy beaches, amazing fishing and other attractions. Perhaps the most popular South Fork attractions lie at the easternmost tip of Long Island at Montauk Point. The Montauk Point State Park is a 720-acre park at the eastern tip of the South Fork. The park offers spectacular views of the great Atlantic Ocean and Block Island. Visitors enjoy going on seal-watch walks to catch a glimpse of beautiful seals on Montauk Point's rocky shores during the winter months. The Montauk Point State Park is also great for bird-watching enthusiasts as it is home to an array of birdlife year round. Although the Montauk Point State Park is an attraction in and of itself, it is also home to the oldest lighthouse in New York State. The Montauk Point Lighthouse stands a few hundred feet from the raging Atlantic and has made the perfect backdrop for various weddings and special events. There is also an education museum located at the Montauk Point Lighthouse where visitors can buy gifts and learn more about this historic landmark. Montauk in Long Island NY offers spectacular views, attractions, restaurants and entertainment. And with a wealth of great hotels and lodging options, why not make Montauk NY your next vacation destination?